Daniel Weber is the husband of a very popular international star Sunny Leone. Also, he is the business manager of sunny Leone who manages her joint production company. He is famous as a guitarist of a rock band namely ‘The Disparrows’. He is also an actor and did a short role in film ‘EK Paheli Leela’ that was starred with Sunny Leone. Daniel Weber has a stunning personality and gains a lot of credit by Sunny Leone for being a very supportive husband to her. Daniel Weber was born on October 20, 1978. He was born in Massapequa in New York. He belongs to a rich family and hometown in Bellmore. He did his college qualification in The Ohio State University, Columbus and after that he got indulged in music, rock band shows and events. 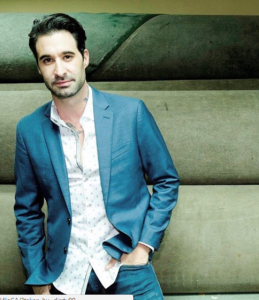 Daniel Weber father was a businessman and his mother also worked in corporate sector. He is majorly known for being the husband of the very popular international star and Bollywood actor sunny Leone. He is the lead guitarist in the rock band ‘The Disparrows’ and everybody call him with a name of ‘Dirrty’ while performing in the band. Daniel Weber did his debut film ‘Jackpot’ in which he played a cameo role. The movie was released in the month of December in 2013. Some other movies starred Daniel Weber are The Virginity Hit, all sunny all the time, Dangerous Husn etc. He also played a short role in his wife Sunny Leone starred movie Ek Paheli Leela. Also, he has set up his entertainment studio along with his wife in New York. The man has an amazing fan following base and the most amazing fact about Daniel Weber is that he respond to his fans personally and remain in contact with them on social media form their personal profile link. Daniel Weber and Sunny Leone’s love story started with a meeting in Mandalay Bay Hotel and Casino. It was an award show where Sunny came as an audience and there for the first time Daniel met with sunny and asked her for a date. Initially, sunny denied but later on she dated him and they spent a wonderful time. Sunny Leone once mentioned in her interview that Daniel was the ideal individual for her. After a long time, they decided to marry and finally got married on 20th January, 2011. Undoubtedly, Daniel and sunny were known as most romantic couple and Daniel always try to impress sunny by pampering her with surprises and gifts. The couple had no child of her won and they adopted a sweet little girl.